Envisioning the role of museums in preserving and disseminating the real live stories and lessons from the experiences of disaster response, recovery and reconstruction in the aftermath of tsunamis and floods. Historian, studies (History, German philology, Psychology) at the universities of Gottingen and Florence (EUI); Curator at the Luxembourg City History Museum since 1992; deputy director of the Luxembourg City History Museum since 2009; external curator of the European Museum Schengen (opening 13 June 2010); external curator of the exhibition "25th anniversary of the Schengen agreement", Luxembourg Pavilion, Shanghai World Fair 2010； President of the International Committee for Museums and Collections of Archaeology an History (ICMAH) since 2004. "We believe that through education and awareness no one in Hawaii should ever again die due to a tsunami." 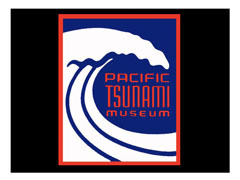 This mission of the Pacific Tsunami Museum is best accomplished through the survivor stories that are incorporated in the interactive exhibits and docent presentations. The Pacific Tsunami Museum is a focal point for all things tsunami; and a wonderful example of a homegrown museum. What did Goryo Hamaguchi do in the Ansei Nankai Earthquake? And, why did he build levees immediately thereafter? What can we learn from that? Japan is constantly threatened by Tokai, Tonankai and Nankai earthquakes. People living near the coast are not the only ones hit by tsunamis. 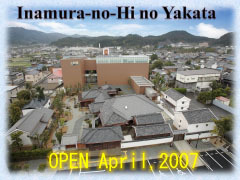 I would like everyone to enhance their awareness of tsunami disasters by touring the Inamura-no-Hi no Yakata. Atsushi Maruyama was born in Shimane Prefecture in 1944. He currently lives right in the middle of tsunami danger zone, but has never experienced one. He explains about Goryo Hamaguchi to visitors and has gained the appreciation of many. I have been a part of activities to record what the people saw of the devastation and how people reacted following the eruption of Mt. 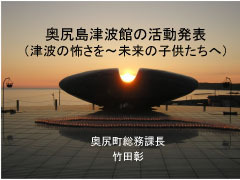 Unzen-Fugen, pass down the facts that only those who were there know, and work with residents from Miyake Island and Mt. Usu to share their experiences with disaster. Now that almost 20 years have passed since the Mt. Unzen-Fugen eruption, I recount experiences and lessons learned there to children who know nothing of this event at schools, as well as to visitors on school trips to the Mt. Unzen-Fugen Disaster Memorial Hall. I am Akira Takeda and I work at the Okushiri Town Hall. Okushiri was hit in July 1993 by a tsunami that was generated by the Hokkaido Nansei Oki Earthquake. I was involved for seven years after that in planning and rebuilding our town. I, too, lost my home and my family of six and a dog were forced to live in temporary housing for three years. 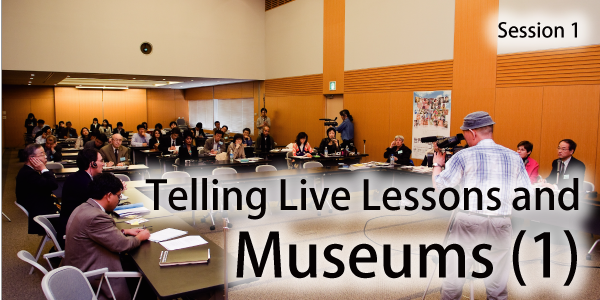 Seventeen years have passed since that disaster, and I am here to take part in Session 4 "Telling Live Lessons and Museums".. 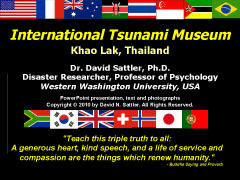 The International Tsunami Museum in Khao Lak, Thailand was established in the wake of the Indian Ocean Tsunami. 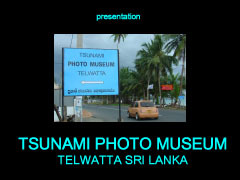 The museum promotes awareness about tsunamis, tsunami preparedness, and the world response following the Indian Ocean Tsunami. Exhibits help people understand the event that changed so many lives by showing (a) how the tsunami formed and affected the environment; (b) how businesses and individuals around the world provided aid; (c) warning signs of a tsunami (d) how to evacuate; and (d) the Indian Ocean tsunami warning system. Exhibits also show hope, resilience, and the human spirit. Dr. David Sattler (Professor of Psychology, Western Washington University) established the museum, and he and his students' created the exhibits. Exhibits are in English and Thai. The museum received very positive reviews. Thailand's Phuket Gazette newspaper wrote, "In a subtle and ethical way, visitors are introduced to the tragic events of the December 26, 2004 tsunami." Schools bring children to the museum for class projects about tsunamis. Dr. David N. Sattler, Ph.D. is a disaster researcher and Professor of Psychology at Western Washington University. He is Associate Editor of Natural Hazards Review, served on the Editorial Board of the Journal of Traumatic Stress, and is a member of the American Society of Mechanical Engineers Innovative Technologies Institute Standards Committee to develop a Risk Analysis Standard for Natural and Man-Made Hazards to Higher Education Institutions. Dr. Sattler travels the world to examine psychological distress, coping, and resiliency following disasters, and ways to increase preparedness and improve intervention and recovery programs. He conducted many projects examining responses to the Indian Ocean Tsunami and created the International Tsunami Museum in Khao Lak, Thailand. He produced an educational video in Thai ("Learning about Tsunamis with Jai the Elephant") to teach school children about tsunami threats and distributes it to schools along the coast at no cost. He conducted projects in Yogyakarta, Indonesia to examine the effects of repeated exposure to earthquakes and volcanic eruptions, and projects in El Salvador and India to examine responses to earthquakes. He conducted one of the first multi-national disaster studies in the Dominican Republic, Puerto Rico, U. S. Virgin Islands, and the Gulf Coast of the United States following Hurricane Georges. Indonesia's Aceh coastal areas were badly hit by a devastating undersea earthquake registering 8.9 on the Richter scale. As many as 3000 villages and urban communities have been destroyed or badly damaged with a greater number of dead, wounded and dislocated people than all other regions and countries. This has become the most lethal natural disaster in the history of humanity and modern times. As a consequence, unprecedented devastation has resulted in unprecedented global response and sympathy in assisting the impacted people. Many global lessons learnt have been adopted and followed up to build Aceh back better. These knowledge-based lessons should be maintained, stored and explored as important lessons learnt of future generations at museums or research centers. Aceh Tsunami Museum as a symbol of strength and resilience of the people of Aceh during the disaster and an international Tsunami research centre, will be an important medium for remembering and conveying the stories of survivals in the forms of museum facilities, oral story-telling, films, images, artifacts, music, cultural events, monuments and or artistic works. Such activities substantiate and communicate local histories and experiences; deepening our understanding of the bonds between ourselves and the meaning of the co-existence with nature, and reminding us of the importance of life. Sharing such stories also increases our awareness of protecting the environment, while strengthening reconstruction efforts and generating a sense of solidarity. Preserving and disseminating real live stories and lessons from the experiences of disasters is an invaluable activity for larger society. Unfortunately, Aceh Tsunami Museum does not role as a means of education and reconstruction in preserving and disseminating the real live stories and lessons from the experiences of disaster responses. A strong commitment of both governments and global community is critical in order to unite these people and to facilitate mutual learning as an open source of the knowledge-base information and scientific approaches through a solid credible museum management. Mr. Rahmadhani is a government officer of Indonesia’s Aceh Province and in charge as a Director of Aceh Tourism Promotion, Marketing Department of Aceh Culture and Tourism Agency. He was an AusAid Postgraduate student (Master of Business) specializing in tourism management. He is active in many tourism related activities in Aceh and overseas and attending many seminars/workshops/trainings either as a speaker or participant in Aceh, Indonesia or overseas. He hasa strong motivation and commitment that Aceh Tsunami Museum should be a means of education and reconstruction in preserving and disseminating the real live stories and lessons from the experiences of disaster responses for larger society. 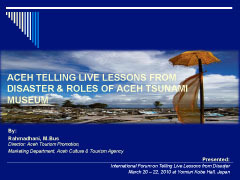 Positive Long-term Impact of Aceh's devastating Tsunami Catastrophe in creating Potential Tourism Attraction: Museum Tsunami as the Icon of Aceh Tsunami Tourism. Ria Geluk was born and had grown up on a farm, which was heavily damaged in the flood of 1953. She and her family could not live at home for nearly 3 years. She studied at the Sciale Academie (community organization) in Amsterdam and worked in different places in the Netherlands. She returned to her home place in 1980 and had different activities. 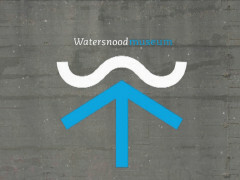 She was co-founder of the Watersnoodmuseum in Ouwerkerk (Flood 1953), that opened in 2001. For 6 years she had been chairman, the last years she was working as project-leader/coordinator for the extension of the museum. The extension of the museum with the theme Water (past, today and future) was finished in April 2009. 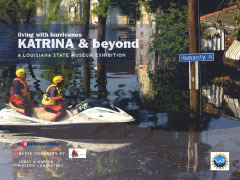 This presentation will focus on the exhibition Living with Hurricanes: Katrina and Beyond, scheduled to open at the Louisiana State Museum in New Orleans in October 2010. It will tell dramatic stories of chaos and destruction that accompanied Hurricanes Katrina and Rita in 2005; place the storms in the context of past floods and hurricanes in Louisiana; explain the reasons? both natural and anthropogenic?behind the disaster; and explore ways for New Orleans and Louisiana to face the future. The exhibition uses Hurricane Katrina as a “teachable moment”?a way to examine failed engineering, emergency planning, and environmental practices as well as an opportunity to highlight the immense efforts on the part of ordinary citizens, scientific experts, and others to ensure that people around the world are able to learn from these failures and plan for a safer future. The Museum aims for visitors to take an active part in understanding hurricanes and floods and preparing for them. The exhibit will also ask visitors to consider what disaster preparedness means nationally and globally. To enhance and expand the exhibition experience, the Museum is collaborating with the Office of Marine Programs, University of Rhode Island Graduate School of Oceanography, which is producing a comprehensive, content-rich, multidisciplinary educational web site, Hurricanes: Science and Society. Tailored for K-12 and university educators and students but also accessible to the general public, the site will enhance understanding of current scientific and technological advances and help visitors make good decisions prior to and during a hurricane emergency. Karen Leathem, Ph.D., is a historian at the Louisiana State Museum. She is the lead historian for the upcoming exhibition Living with Hurricanes: Katrina and Beyond and has helped develop a number of exhibitions on Louisiana history and culture. Her recent publications include essays in New Orleans Cuisine: Fourteen Signature Dishes and Their Histories (University Press of Mississippi, 2009) and Louisiana Women: Their Lives and Times (University of Georgia Press, 2009).